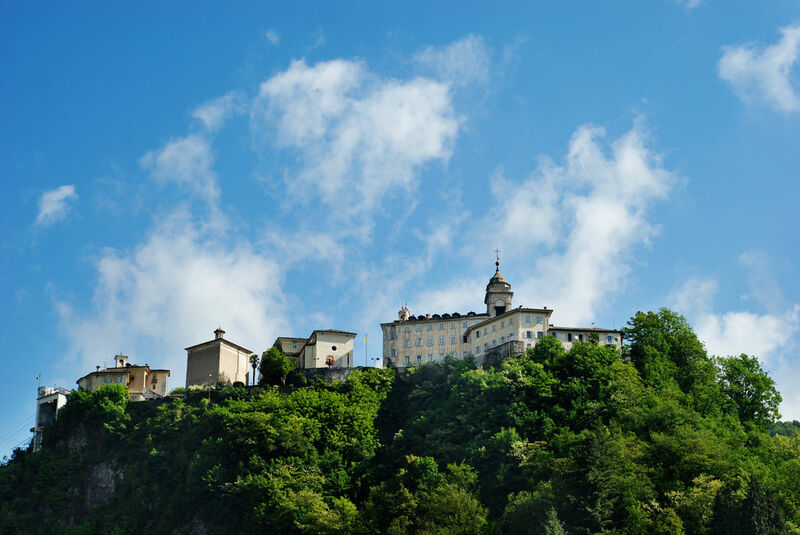 Surrounded by acres of woodland, the Sacro Monte di Varallo dominates the town. 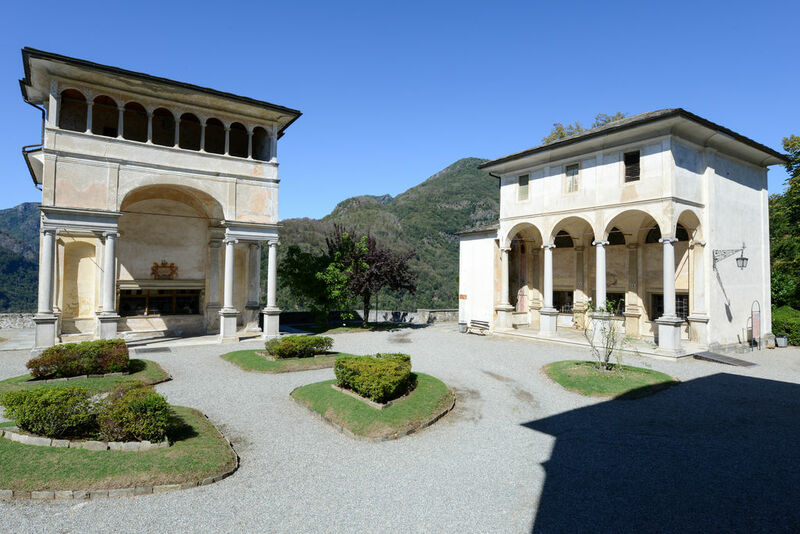 This extraordinary complex was created in the 15C at the behest of the Franciscan monk Bernardino Cimi, whose idea it was to recreate the various sanctuaries of Palestine in this bucolic setting. 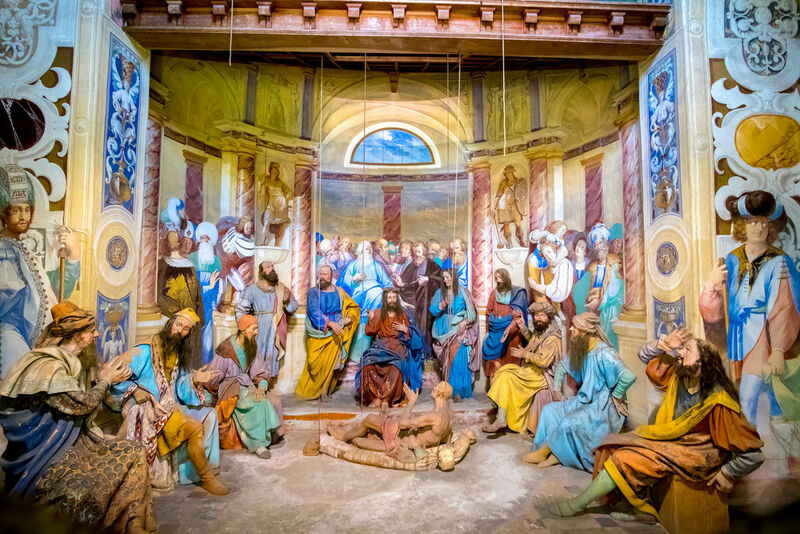 Dotted around the Baroque church, the forty-three chapels are decorated with frescoes and life-size terracotta figures (16C-18C) by various artists, especially Gaudenzio Ferrari (1480-1546), a pupil of Leonardo da Vinci.